Terrific! 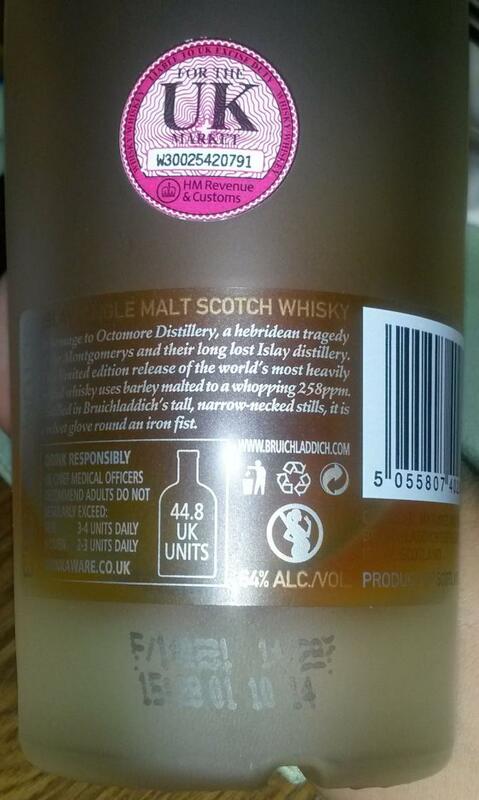 Rarely had a whisky that is so intense and smooth at the same time. I'm blown away. Taken by surprise. In ecstasy. 93 fantastic points. Heavy smoke. Phenolic and intense. Cold. Pungent. Burnt ash. First it stays like that for a moment. Then a great honey sweetness creeps in. Sweet biscuits with burnt ground. Sweet vanilla. Some mild citrus is in the background. Herbs are still there, which I can not quite grasp. And now, in fact, comes some spicy processed cheese, as Laddie has so often with me. The smoke is going back. Water: Grapefruit is now visible. The overall impression remains. The seasoning is more discreet. Sweet first. Then the smoke moves to it. The alcohol is very well integrated. Tingling and extremely voluminous. I seldom had that. Sweet and spicy, the entire mouth is filled. Cookie dough. Honey. Processed cheese here too. After swallowing, more of the mail goes off. Everything sticks in the mouth. Creamy. Sweet. Water: Not quite as strong at start, almost soft. The smoke gets a bit stronger and gets a bit ashy. The smoke remains long and sweet in the mouth and throat. A honey-like film remains in the cheeks. ... and over time he is getting better and better. Take everything I've written and mix it up. Extremely sweet smoke mixes at the beginning with intense malt aromas, slightly grassy earthy notes and many bright fruits. Only two short questions remain: Where is the enormously strong alcohol of 64 (!)%? Where are the brutal-looking 258ppm smoke content? Unbelievable how elegant the nose of the Octomores can hide the extraordinary frame data. Plenty of vanilla, caramel, freshly cut apples, lemon juice, orange peel, red grapes and subtle herbal notes gradually pour out of my glass. A touch of wood and maritime-mineral notes linger in the background. How good is the drop please pure drinkable? Very oily, almost silky soft and mouth-lining without end. Ample smoke and sweetness I perceive in the first moments, the tip of the tongue tingles to a pleasant extent. I do not add water. Campfire smoke with earthy undertones and a massive sweetness of honey, vanilla and plenty of caramel set a wonderful focus. Sweet cherries, oranges, bright tropical fruits, salt, various herbs, a little chocolate and delicate woody notes complete the multi-faceted aroma festival. Hard to believe how (relatively) mild and harmonious this drop sticks to the palate. Wonderful! Extremely long, sweet and spicy and strong smoke. The sweet smoke is now showing its most intense side. The sweet fruit notes with vanilla and caramel gradually turn into heavier notes. Salty chocolate, many herbs, mineral hints, subtle oak wood and beautiful smoke (cold ashes) provide a brilliantly rounded end. I loved the 06.2, this is even better. 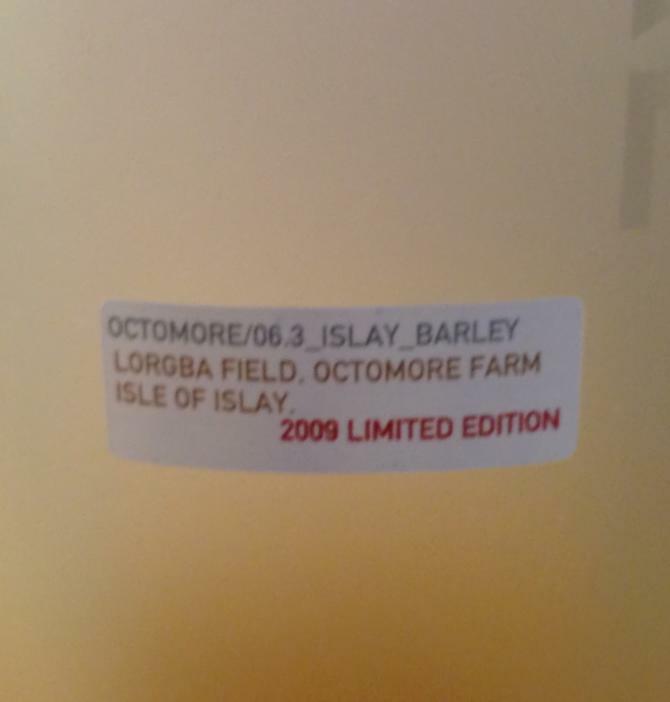 Not your everyday dram, but what a challange to the senses. when you get through the initial boldness there are lots of sweetness and some lemon, very nicely balanced. Without water the alcohol of course make it very peppery, then the smoke and peat so thick it feels like you have to chew it, a little salty and surprisingly also quite some bittersweet fruit. Herbs and spices, some sweet chocolat notes before the peat take over again, it covers the mouth and stays for ages. High quality. But a lot of smoke, high alcohol strength and good barrel selection can not completely hide a "too short" maturity phase ... that might be outstanding after 10 or 15 years! A pleasure to drink, that's for sure. Expecting heavy peat, the first thing to discover is... Flowers?! Grassy, citrus, lime... Oh well, and yes, some very subtle peat now, and smoke, ash. Then some sweet arrives, honey. And some earthy tones. Sweet smoke now, ash, very intense. Warming, honey, and really some cheese now, Chipito's! Creamy mouthfeel. Sweet smoke, honey, long finish of sweet smoke and ash, again the cheese, Chipito's again. Very intense still, some wood as well. Another kotomor, this time, it seemed to me, with finish, whether in sherry or in wine barrels, but atomic 258 ppm leave little chance to understand and enjoy the components different from peat / smoke (and they are there), or it is hard isolate, or catch their occasional bursts from the background, in general, the pursuit of numbers, as an end in itself, does not lead to good. Open, saturated, scorched wood, old leather goods, machine oil, ash, dry peat, syrupy sweetness, lemon peel, dried fruits - raisins, dried apricots, prunes; phenolic ingredients suppress other aromas displacing them into the background, forcing them to seek out and isolate in a sea of ​​smoke / peat. 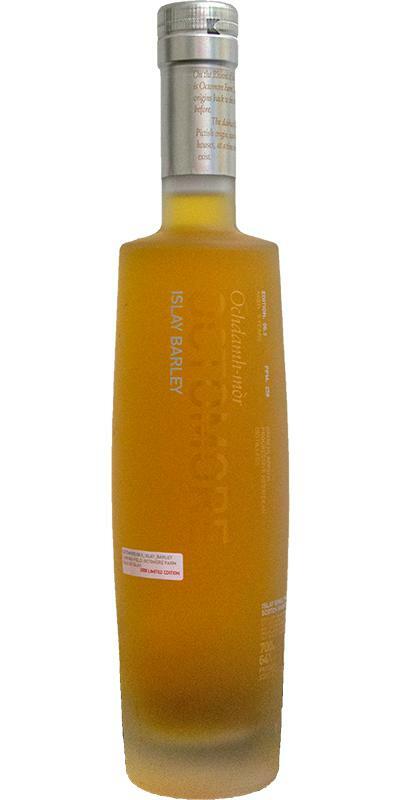 Smoky peat, saturated with sweet and dried fruits, strong peppery wave, creamy notes, ash. Peat, spicy, ginger, sweet orange, long-lasting and warming, creamy notes, oil cream.